* 0.73 +/- Acres (per tax data). *Located in downtown Woodstock on Main Street. * Zoned DT-RO which allows commercial, office, and residential uses. * Gravity flow public sewer available on site. * Very gentle topography and ready for development. * Located at roundabout immediately south of Woodstock's Outlet Mall. * Adjacent to the newly constructed Holiday Inn Express. * Excellent commercial location (subject to rezoning) for office, hotel, retail, general commercial uses. 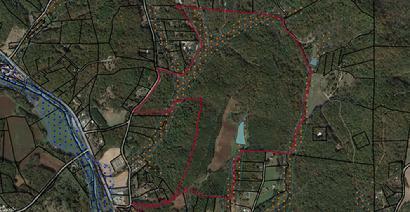 * Zoned R40 Cherokee County but possible annexation into the City of Woodstock. *Located in beautiful Choestoe area in the scenic heart of Union County. * Mixture of fields and woods with beautiful lake on site. * One of the largest tracts left in Union County. * Frontage on 3 roads (Hamby Road, Booger Hollow Road, and Hidden Valley Acres). 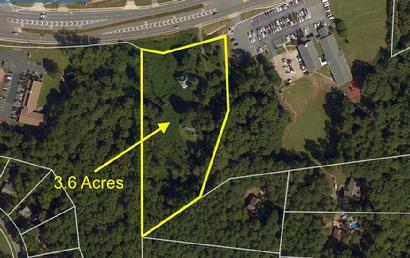 * Excellent development opportunity or gorgeous one of a kind estate. * Located in the downtown district of Woodstock. * DT-GC zoning for front 5 acres. * Approximately 625' frontage on Hwy 92. 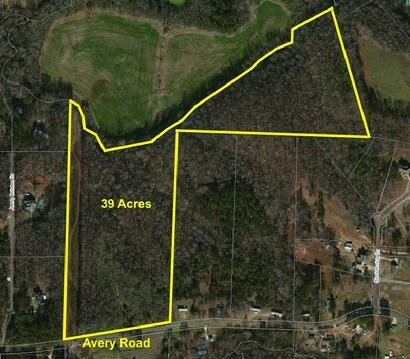 * 38.28 +/- Acres zoned AG, Cherokee County. * Partly wooded and partly in pasture. 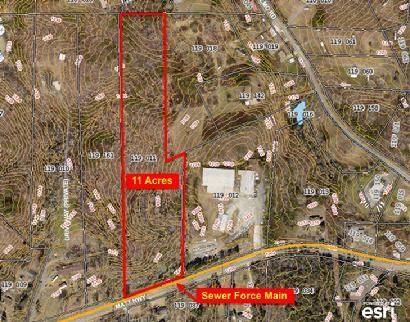 * Over 1,400' frontage on Epperson Road. * Excellent horse farm property or subdivide for development. 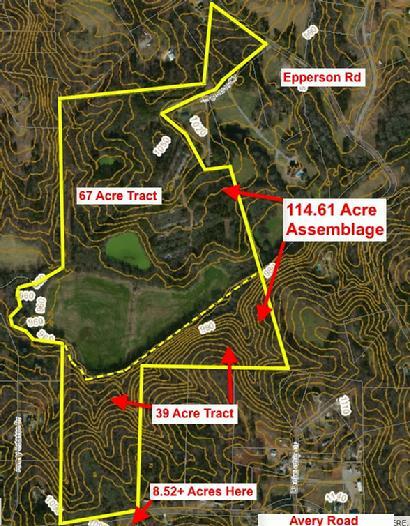 * Additional acreage available for over 64 contigious acres. * Mix of woods and pasture. * Development or buy/hold parcel. * Immediately adjoining I-575 and southbound entrance ramp onto I-575. * Excellent visibility from interstate. * Walking distance to Outlet Mall. * Excellent development opportunity in high growth area of Woodstock. 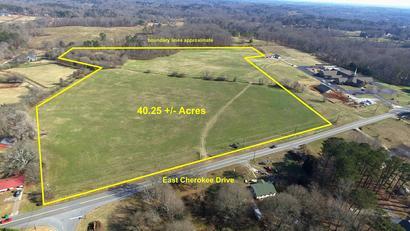 * Additional land (30+ acres) potentially available. * 700' +/- frontage on Highway 92 with approximately 36,000 cars per day. * Great commercial location. Existing DT-GC zoning. * Adjoins newly constructed "The Crest at Laurelwood" 300+ unit apartment complex. * Access to full median break on Hwy 92. 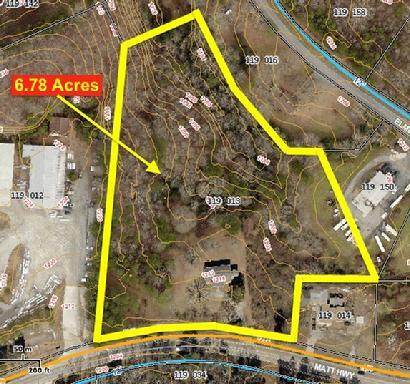 Existing zoning allows commercial and up to 16 units/acre residential. * Property borders southbound I-575 exit ramp. 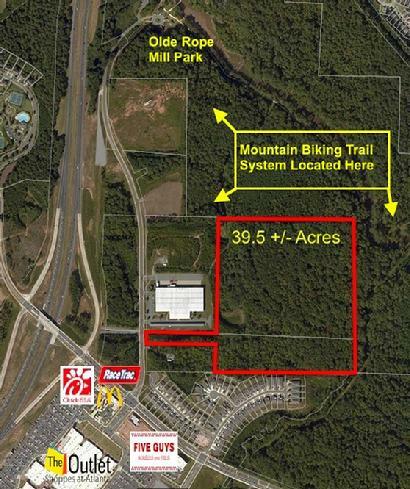 * Highly visible property with direct access to interstate. 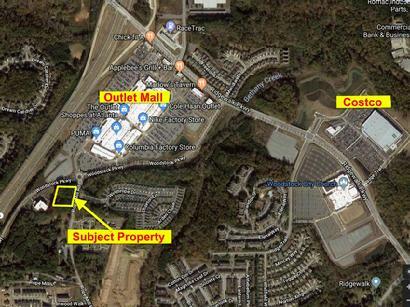 * Outlet Mall and Ridgewalk development across from site/575. * Existing zoning allows mixed-use. 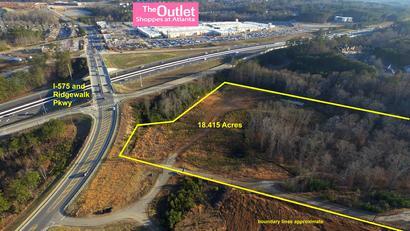 * 3.6 Acres fronting Hwy 92 just west of I-575 with high traffic counts. * Located across from entrance to Dixie Speedway. 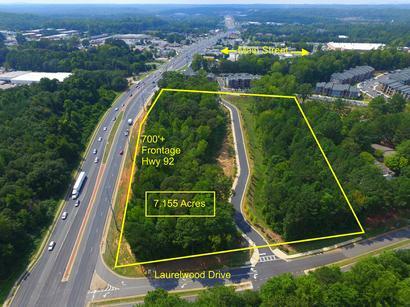 * Easy access to I-75, I-575, downtown Woodstock, Marietta, Acworth, and Kennesaw. 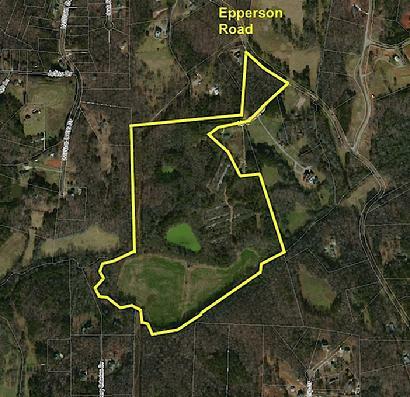 * Zoned Neighborhood Commercial, Cherokee County, with Highway 92 Overlay. * Frontage on Avery Road. * Borders and overlooks Canton Creek at northern property line. * Zoned AG, Cherokee County. 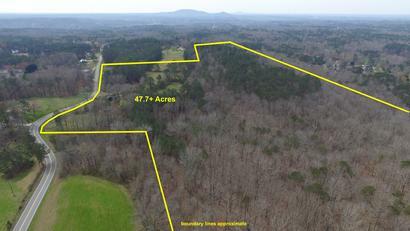 * Additional 67+ Acres also available. * Gorgeous pasture in bottom land adjoining Canton Creek. * Gentle topography with 2 ponds on site. * PERFECT HORSE FARM PROPERTY. * Estate owned and priced below 2015 Appraised Value. * Gentle topography for development, estate lot, horses, or small farm. *Excellent visibility and strong development potential. 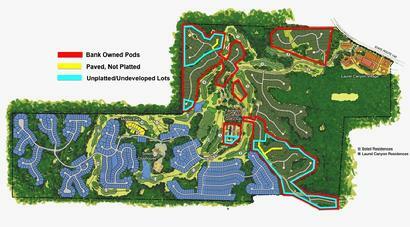 * Existing zoning of 9 units per acre allows development of 100 multifamily units. * Due diligence package available. * Perfect site for apartments or senior housing. * Can be sold all or in part. * Walking distance to Outlet Mall with all shops and restaurants. * Woodstock City Church down the street. * Adjoining Olde Rope Mill Park mountain biking trails. * Excellent development opportunity for development. *Located just west of Matt Highway and Bannister Road. * High traffic count and gentle topography for development. 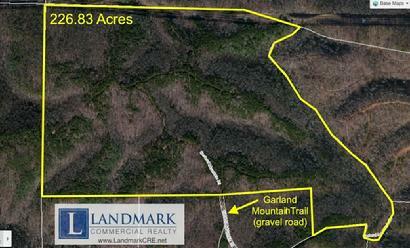 * Beautiful site on Garland Mountain with mature hardwoods and pines. * Excellent location for private estate, large lot subdivision, or buy/hold land investment. * Bank owned- must be sold. * 134 Developed/Platted building lots & 189 partially developed/undeveloped/unplatted lots. * Sale includes HOA lands with clubhouse and pool. * Declarant Rights conveyed to Purchaser. * Beautiful mixed-use development with full golf course and long range views.